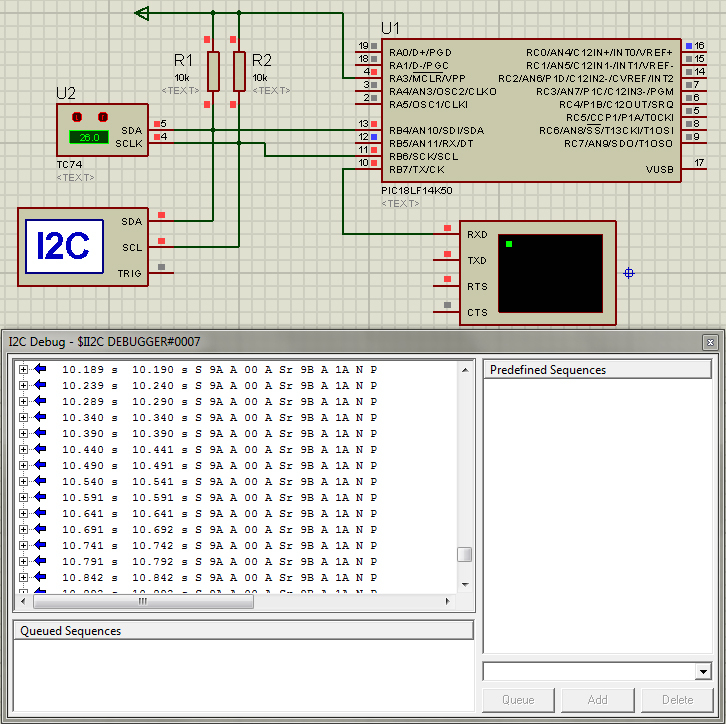 I2C, as defined by Wikipedia, is a multimaster serial single-ended computer bus invented by Philips used for attaching low-speed peripherals to a motherboard, embedded system, cellphone, or other electronic device. But most importantly, it is the protocol that the barometric pressure sensors we will be using relies on. I won’t be using Arduino for this project. Instead, a 20 pin PIC18LF14K50 will do all the work. This way the I2C protocol will know to which sensor send commands, and from which sensor read measured values. Figure 1. 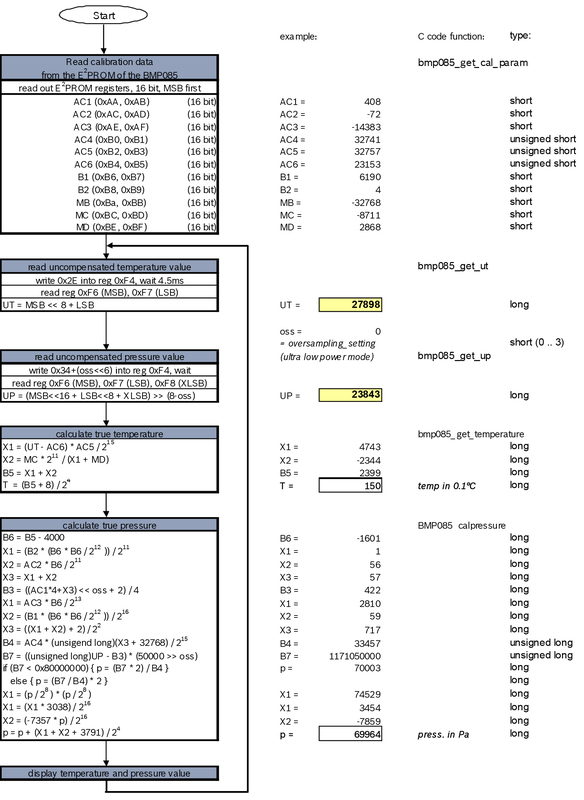 Timing diagram read 16 bit A/D conversion result [BMP085 Datasheet]. Now we can run some simulations with design software like the Proteus Design Suite; but as we don’t have the BMP085 available in the library, we will use a different sensor instead, but similar in concept. Figure 2. Component assembly in ISIS Proteus. In the TC74 temperature sensor, the value read from the I2C bus equals temperature reading, i.e., 0x1A = 26. But with the BMP085 barometric pressure sensor, raw data will have to be processed as to get actual temperature and pressure values as shown in Figure 3; but that calls for another post. Figure 3. Calculating pressure and temperature from BMP085 [BMP085 Datasheet].